“I used to jog, but the ice cubes kept falling out of my glass,” David Lee Roth was once quoted saying.He was obviously trying to be funny. But take his statement seriously for a moment. He is more motivated to have a drink than jog. To state it differently, drinking is more important to him than jogging and its possible health benefits. So what would it take to increase his motivation to exercise? The answer is: He’s got to find a way to make the jogging more important. Ah! Not so simple you say! When it comes to exercise, do you make lots of excuses? No matter what you try, do you fail to have enough workout motivation? Many people say it’s hard to find enough motivation to exercise. 3) I don’t get a break from the kids. 5) I just don’t like to move. No matter what reasons you have to avoid exercising, by using hypnosis, you can create the motivation you need. Lots of people, including professional athletes, use hypnosis for motivation. If you listen to motivation hypnosis, you’ll feel a powerful urge to start and stick with an exercise routine. What gives a person the motivation to exercise? Or for that matter, what gives a person the motivation to do anything at all? No matter what we do: Get out of bed, get a job; eat; take the dog out for a walk, we must feel motivated before we will engage in the behavior. Motivation comes from what we believe. What we believe is based on our previous experiences. Its based on seeing or hearing about the experiences of others whom we trust. When we believe that if we take some particular action, something that is very important to us will be enhanced, we WILL feel a strong urge (motivation) to take that action. The flip side of the coin is also true: When we believe that if we DO NOT take some particular action, something that is very important to us will be in jeopardy, we’ll also feel a strong urge (motivation) to take that action. So creating a powerful sense of workout motivation is dependent on getting ourselves to believe what we, as a unique individual, need to believe to feel motivated. When it comes to belief change techniques to change or create a belief, a properly structured combination of hypnosis and NLP can provide the workout motivation magic we need. Traditional hypnosis relies on direct commands. Unfortunately, our generation tends to resist being told what to do. In fact, we usually do the opposite. NLP therapists call it a polarity response. 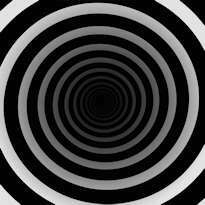 Luckily, there is a very modern form of hypnotism called Ericksonian hypnosis. Ericksonian hypnosis is also known as conversational hypnosis. 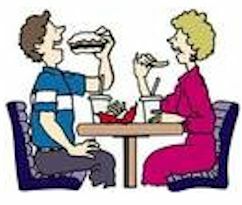 Conversational hypnosis hides subtle suggestions in either a simple conversation, or a metaphor. It’s difficult to resist this type of suggestion. Suggestions made during conversational hypnosis slip past the conscious mind. With the conscious filter removed, the suggestions go directly into the unconscious /subconscious mind. Neuro-Linguistic Programming (NLP) offers some exceptionally effective motivation techniques. One of these techniques, called anchoring, can transfer the motivation that a person already feels for some other purpose, to a desire to exercise! NLP Anchoring: Did you ever listen to an old song and have it trigger feelings from your past? When you initially listened to the song, you felt those emotions, and they automatically were attached to the sound of the song. So the song became an ‘Anchor’ for the emotions that you were feeling. Now when you hear that music, it triggers the same exact emotions again. Anchoring can be an extremely useful technology. Suppose that you have a memory of being praised for having done something well in the past. If you step back inside of that memory, you’ll be able to recreate the the same exact feelings of self-esteem that you had at that time. 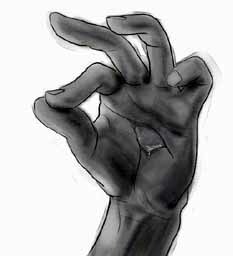 If you press two fingers together while you re-experience those feelings of self-esteem, that touch will become an anchor for the feelings of self-esteem. Imagine that you wish to create motivation to exercise and lose some weight. If you make a mental image of yourself with a thin build, and at the same time you trigger the anchor by pressing the two fingers together again, your subconscious/ unconscious will bond the feelings of self-esteem to the image of you with the thin figure, and your level of drive to exercise and lose some weight will dramatically increase. Sharon C. didn’t expect much from hypnotism. She has an analytical mind, which tends to resist traditional hypnotism. Sharon found a wonderful hypnosis and NLP program called “Urge To Exercise!” on the Internet. Sharon listened to the CD for 20 minutes a day. She found that her urge to exercise grew into a compulsion to exercise. Soon Sharon found herself excited about exercise. She said that she actually looked forward to her workouts. Sharon gained the workout motivation that she needed to exercise on a daily basis. She has lost weight. Her muscles are toned and she constantly hears compliments. Using NLP and workout motivation hypnosis, you can change your thought processes and build workout motivation. These processes can make you lose the anxiety and dread associated with exercise. You will actually look forward to your exercise instead. Hypnosis motivation is Workout Motivation Magic that really works. Motivation hypnosis is the answer to your lack of motivation to exercise. 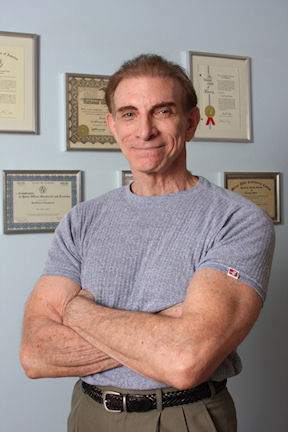 Alan B. Densky, CH has been involved with bodybuilding and exercise since 1963 He’s been a professional consultant in hypnosis since 1978. He brings a unique perspective when it comes to motivation to exercise theory with his “Urge To Exercise!” program. 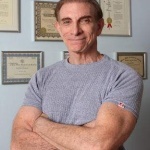 Visit the www.Neuro-VISION.us website for free hypnosis articles and downloads, and free hypnosis videos. This entry was posted in Motivation Building. Bookmark the permalink.